Join us for some amazing musical talents around our Wicked Six Bar and Grill fire pit. On a weekly basis you can enjoy breathtaking views , local beer, hand crafted cocktails and live entertainment from local artist. Check out our events page for a full calendar of live music and bagpipes. 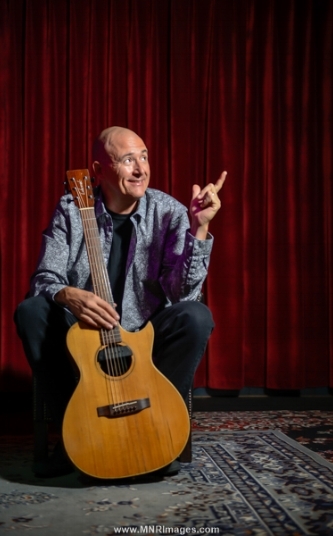 When BILL DUTCHER picks up an acoustic guitar, the music that fills the room cannot be branded with a simple sentence. When you see him play live you’re experiencing an event that shatters the pre-conceived notion of what a solo acoustic can do. You’re witnessing the fusion of six strings, ten fingers, instruments and various electronics that blend into a unique cocktail of rock, blues, classical, middle-eastern and Celtic flavors. Born and raised in Dublin, Ohio, He played electric lead guitar in various successful bands throughout the Midwest before making the journey towards performing as a solo artist. Bill has established relationships as an endorsee with major music manufactures such as L.R. Baggs Electronics in California and Lakewood Guitars from Germany. He relocated to Phoenix in 2005 to bring his music to new audiences. His vocal ability reaches deep down towards the baritone styling’s of Johnny Cash and soars up to the ethereal echoes of Robert Plant of Led Zeppelin. His lyrics speak of personal experiences that make his songs read like stories from the heart. When performing live, Bill’s intensity shines through as he strings and sonically leaves listeners perplexed. Exotic tunings, two-handed tapping and percussive techniques, along with his ability to keep listeners captivated, has won over audiences nationwide. Bill’s commitment to music along with his stage experience offers a unique entertainment presentation. There is an expansive hole in the music market that has left many listeners with a thirst for music that touches with creativity, depth, inspiration and renewed passion. The music industry is not focused on generations of people who cannot connect emotionally or intellectually with commercial pop, rap, and the latest retread of a boyband. James offers new, original and classic music that reflects a deeper experience and allows this group to connect to themselves and their own gloriously complex worlds of experience. Circuitous routes are part of artistic life and James' journey has been no less. After a series of life altering events, the gravitational pull of music was too strong and he made the leap of faith. "As cliché as it may sound, music literally saved my life and I haven't looked back... I'm so lucky and so grateful." 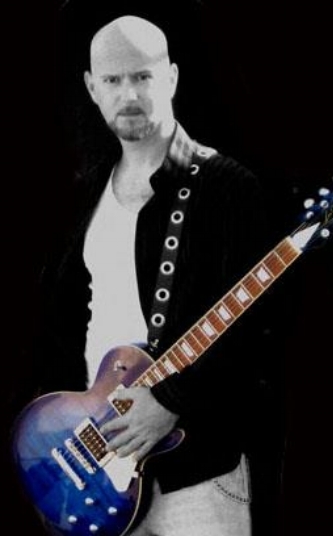 I have performed in various bands since the late 1980’s, and as a solo acoustic entertainer since about 1994. A native of Long Island, NY, I moved to the Phoenix, AZ area in late 2004 and quickly began performing in local pubs and restaurants. Since the beginning of my career, I have been known for performing songs that one would not expect to hear from a solo acoustic performer. While I have a large catalogue of “staple” songs typical to a solo acoustic show, my sets are chock full of unexpected choices that make audiences take notice. That’s a big part of my inspiration when I perform. On any given evening, there may be scores of performers playing the same typical solo-acoustic-guy stuff. I like to step out of that box as much as possible. The challenge is to choose songs that are much unexpected, yet can be arranged and performed successfully as a one-man act, and I absolutely relish the opportunity to bring something new and unique to a set. The addition of “loop” performance – a technique in which the live guitar and/or vocal is recorded as it is performed, and then played back, and additional layers or “tracks” recorded over the original – has added a whole new dimension to my live shows over the past few years. Often songs develop seven, eight, or more “layers”, including percussion parts slapped on the guitar or “beat boxed” into the microphone, the use of multiple guitars on one song, multi-part vocal harmonies (no digital processing here! ), and more. Some original and cover songs end up sounding like a full band on stage. Nothing is pre-recorded and no “backing tracks” are used. I record all layers live, and on-the-fly. It’s quite a treat for the eyes and ears – you can find plenty of examples of this looping technique on my videos page. With an ever-expanding list of songs and artists, I continue to entertain and, often, surprise audiences at every show.